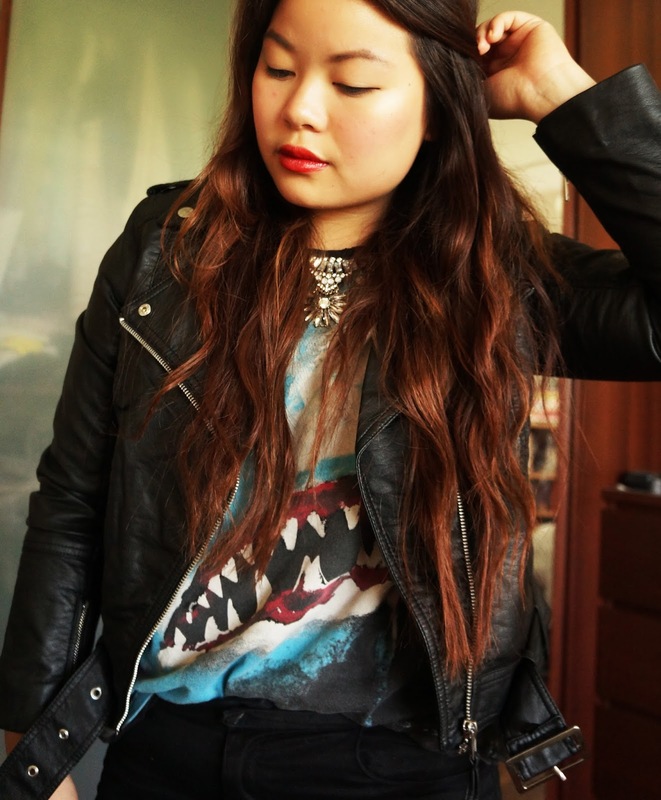 Most of the items for this look are recently bought and when I first saw this Jaws shirt at Zara, I knew I would regret it if I didn't buy it. It was only 8euros. Anyways this is my semi-rocker look and at first I didn't know if the necklace would work with this shirt but it surprisingly go well together. Sorry for the crappy background of my pictures, I couldn't take pictures outside. Leuke outfit, vind je ketting gaaf staan bij je shirt. 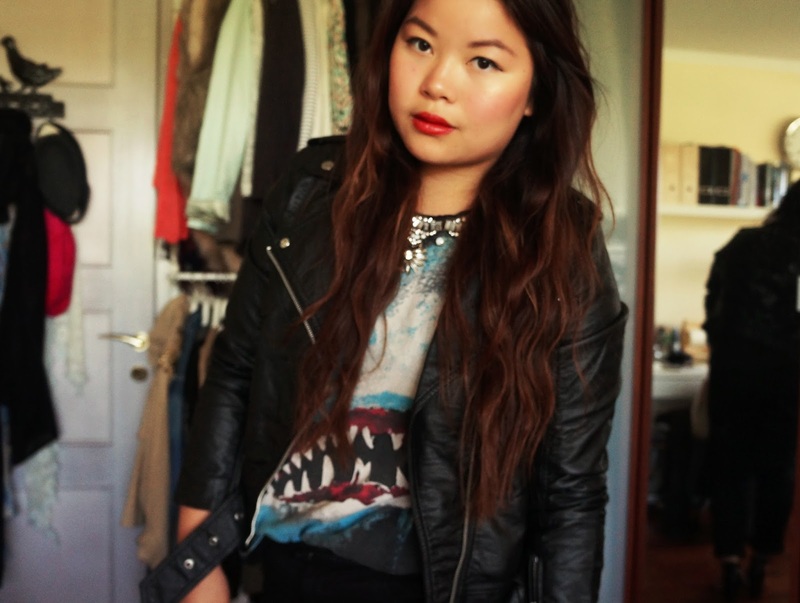 En je rockt de red lips! En gaaf dat je je kleding zo hebt hangen, geeft een inloopkast geval hihi! GAAAAAF! 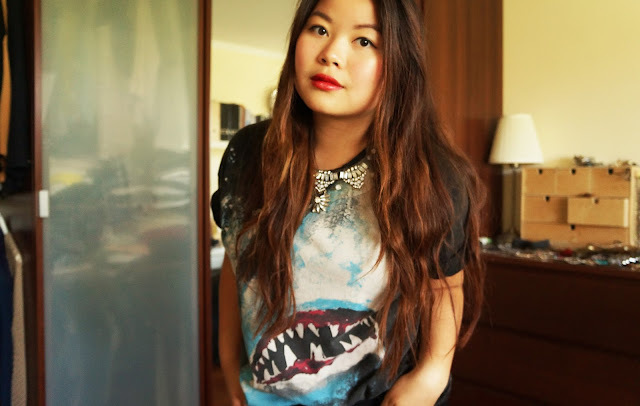 Dat T-shirt is echt awesome! Ik volg je, follow back? What a cool shirt :-D You look so pretty. 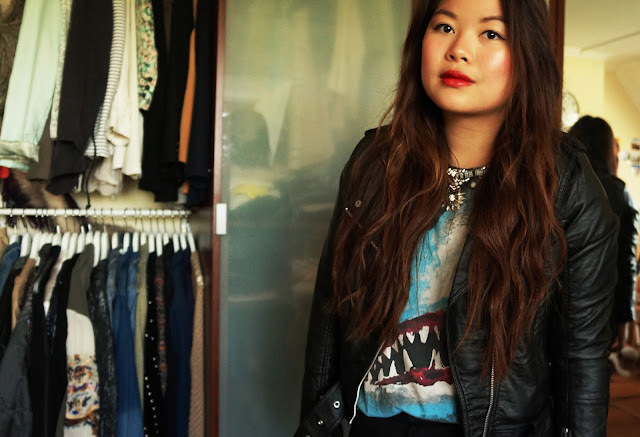 Oh wow, wat staat rode lipstick je goed. 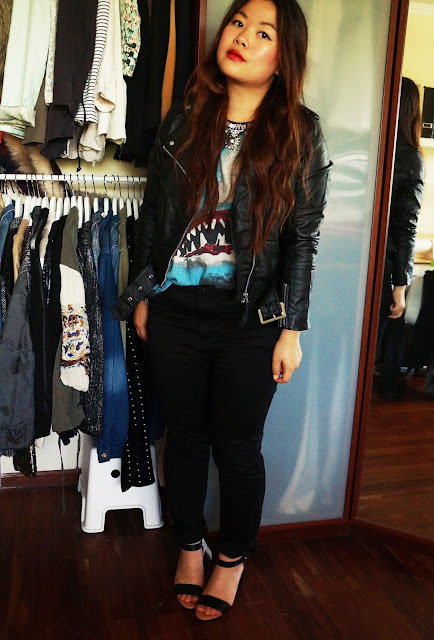 Mooie outfit! ootd | I wish it was time for me to graduate..